Finding a commercial electrician in Tooting is not exactly difficult. But what is more difficult is finding a reliable commercial electrician who can visit your business, any day, any time to deal with any issues that arise. Electrical problems at your business premises could severely affect trading if not corrected quickly. The law requires that all electrical installations are maintained in a safe and secure manner in order that employees and visitors are safe. An electrical fault could render your business illegal if not fixed as soon as possible. It’s not just safety and the law that needs to concern you, if your data cabling is damaged or your system goes down for whatever reason, this will have an impact on your business, possibly even closing it down. Whichever way you look at it, preparation is the key – you need to establish a relationship with a commercial electrician who can come out to your Tooting business and get you back up and running in the shortest time possible. First and foremost, experience. You need to find someone who has served their time in commercial electrics. Working on commercial electrical installations is very different to working on domestic ones. If you don’t do your research and hire someone who is used to working only on house electrics, you could easily be heading for problems. So make sure that the first question you ask is about their experience. A reliable Tooting commercial electrician should be able to reel off a list of local and fairly local places where they have worked. Next come the qualifications. It is always advisable to check what qualifications that a commercial electrician has. It is not too difficult then to check with each organisation that their claims are true – most of the registers of commercial and domestic electricians have websites that can be searched. The third indicator of a good commercial electrician is references. Ask around other Tooting businesses for details of the electricians that they have used and whether the found them reliable or not. There are online companies like Checkatrade as well, these references will definitely help you to make a decision. Finally, make sure that the commercial electrician that you decide to use is able to certify the work, you will need that for the periodic inspection and testing that is required by law for all commercial and public properties. What Can Commercial Electricians do? A competent commercial electrician should be able to carry out anything electrical on your Tooting premises. This might be to convert high and low bay lighting from incandescent to LED systems, or it could be making repairs to high voltage three-phase supplies. Indeed it could include anything from changing a broken socket in the office to installing the wiring and control gear for a production line. 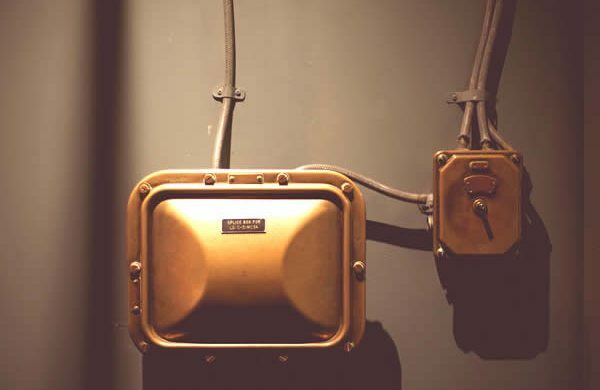 Call 0208 406 9834 for a no-obligation chat about your commercial electrical needs, you will be speaking directly to one of our trained electricians. We operate a 24/7 emergency electrical repair service for all businesses in the London area, not just Tooting. South London Electricians are qualified and experienced. We are able to work on all electrical jobs from the installation of back-up generator systems to the installation and repair of data cabling. High voltage three-phase repair and installation work is a speciality of ours.